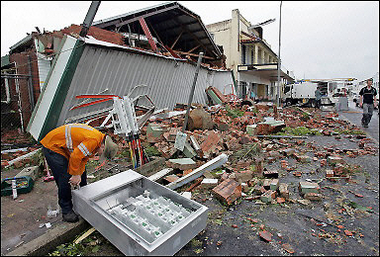 Blog What does Cyclone Lusi mean to your Business? What does Cyclone Lusi mean to your Business? One week ago the NZ Met Service set about advising of the approach from north of New Zealand of Cyclone Lusi, a storm front with the potential to cause widespread damage and disruption. Fortunately Lusi’s impact was much less than had been projected. But what if Lusi had unleashed greater destructive forces? Would your business have been prepared for damage, loss and disruption? It is more than likely that your business would not be prepared. Most businesses are not prepared for any disruption of 48 hours or more. What does your business need to be resilient. Know what/where the value is in your business (personal wellbeing, employees, customers, business assets, reputation). Know your business cost structure. What are the fixed costs? Does the business have reserves to meet these if revenue is interrupted? A simple plan. A checklist of actions needed to be taken in the event of any business interruption of 48 hours or more. Ensure there is both a timeframe and reporting structure in the plan. An emergency team. The tasks on the checklist above need to be assigned to and become the responsibility of a specified staff/team member. One team member needs to be responsible for overseeing the emergency team. A back up plan. Identify the critical part(s) of the business that are required to keep it going. Similarly identify the parts/functions of the business that can be halted, delayed, relocated. Training. Provide staff with basic emergency response training, prepare and run practice scenarios, a desk-top/brain-storming exercise is a good way to get all staff thinking about the implications of business disruption. Business interruption can be created by many events other than weather events or actions of nature. The severing of a main energy supply line, the delay in receiving critical manufacturing components, the failure of a critical piece of equipment with replacement parts only available from the manufacturer in Sweden. Any of these events and hundreds more have the capacity to derail your business. Reduce that capacity by having a response plan ready.